Before we get into the details of this week’s post, I just wanted to say this, I know I’ve mentioned that I would share my experience with all of you but writing this post puts me in a situation. As much as I want to share pictures and videos, and what parts you should look forward to of the Encore Melaka show, at the same time, I’m a little hesitant to share because I want you to watch and experience it yourself and feel the emotions without me planting any in your mind. So, I guess I’ll try my best to put it into words with only a couple of pictures. All I can say is, trust me, this is one show worth experiencing. Alright, if you have not experienced Encore Melaka Impression Series, this is something I would definitely recommend. 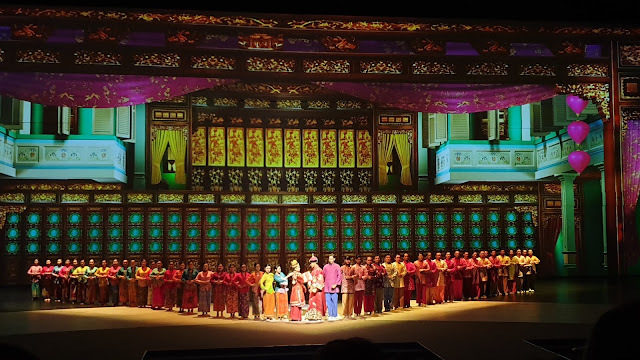 Encore Melaka Impression Series is set in a 360 degrees rotating theatre with a state of the art technology, lights, audio set up and 3D multiple stages which makes the stage come to live while you are watching it. In the words of what Encore Melaka Chief Director, Wang Choage said, it does come to live in this Impression Series. According to her, she views Melaka as an ideal homeland, a paradise of racial harmony. She is proud of the locals who show respect and tolerance for cultural differences. The director is particularly touched to see the seed of Chinese civilisation planted by Admiral Zheng He 700 hundred years ago flourishing well in a foreign land. It seems to her that there is no clear boundary separating the past and the future from the present; Melaka remains a cradle of social harmony. Although diverse and inclusive, Melaka offers a peaceful atmosphere welcoming multi-ethnic integration. This alone should be enough for you to want to experience it. I’ll leave the link at the end of the post for you to check out but what you read in the website of what the vision of the directors and producers of this series, just comes to live. But, if you are not convinced enough, here are my two cents worth of why you should go for it. Encore Melaka was a show I was really looking forward to for a couple of months since I found out about it. I tried to keep myself from watching videos or looking at pictures as well as reviews because I did not want any spoiler alerts. However, I did watch a video performance of Shila Amzah singing “Do you Remember”and it was beautiful! Fast forward to the day of the show, everything was perfect. It was as hot as it could get but it did not rain that was a good sign because it would mean that we could witness the perfect sunset right after. 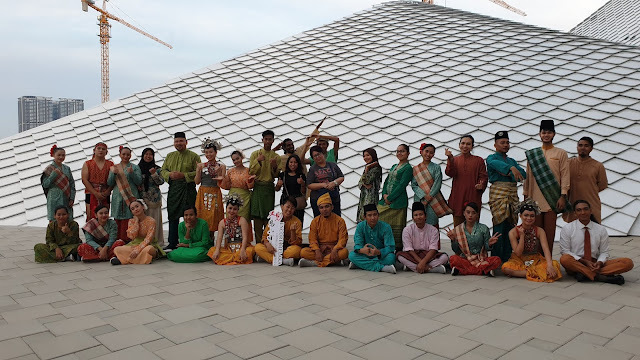 The show was basically short stories and events about Melaka. Not particularly the history of Melaka but mainly a series of stories of this heritage town and its people. With 200 local performers, you will witness an array of modern and traditional performances that tell each story. The performance by the team was A+. I had goosebumps during certain scenes because of how good it was executed. I was literally at the edge of my seat because I just wanted more. You get to witness the passion and commitment of each performer in the different scenes. No other words to describe it other than BEAUTIFUL AND AZMAZING. We should be proud that we have a show like this that attracts tourist from all over the world when they visit Malacca. What’s more was the ending was just the right timing as well because it ended just in time for sunset. My favourite parts of the show was definitely the beginning and the end. And the middle just made me tear. I wish I could elaborate more on the scenes but what would make it more intriguing without a little element of surprise right. Besides, the show, just a little tip, this is an instaworthy place for great pictures. What I would prefer to see differently? Although with a state of the art of technology used – lights, 3D stages and the set up was beautiful, I believe that in everything we do, there will be room for improvements. In this particular show for example, I believe that the story line could be improved as some scenes do not make much sense or probably the way that scene was executed did not necessarily make a huge impression. I do not want to elaborate on which scene because at the end of the day it is personal preference and I feel the story line could be improved. I know I am in no position to critic but I believe, positive and constructive criticism would be good to further, especially with a show that left me feeling so emotional at the end. One scene I could tell you was the water scene. You would have seen it in all the Encore Melaka promo pictures. 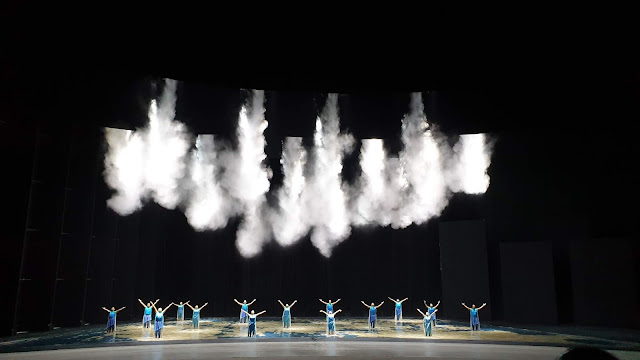 However, in the show I attended, it was removed and replaced only with white smoke from the top instead of water pouring from the top signifying rain. I understand from some friends who went a few weeks before I did, that it was just so beautiful how the dancers danced through that scene. I was pretty bumped about that but hopefully it will make a comeback in its future shows. Other than this which was not really a deal breaker, everything else was perfect! 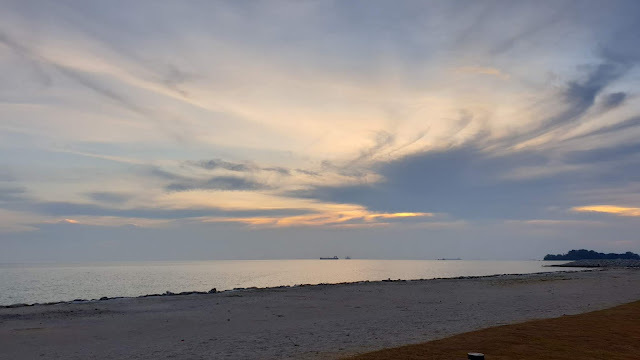 Until then, if you have come across my blog before watching it, I hope you do enjoy it and if you already experienced it, please leave a comment on what you loved about Encore Melaka Impression Series and I will talk to you more in the comments!